Point Shot: Varlamov Steals a Point for Avs - The Point Data-driven hockey storytelling that gets right to the point. 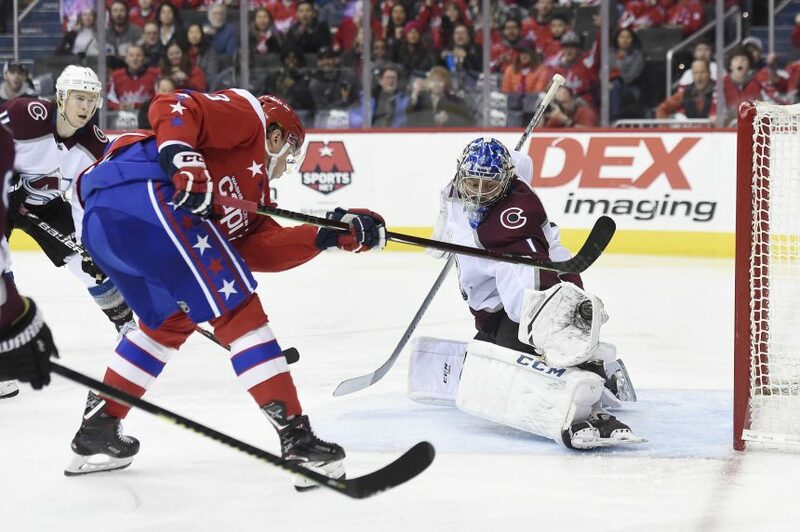 Despite hanging Semyon Varlamov out to dry, the Colorado Avalanche still managed to pick up a point in an overtime loss to the Washington Capitals last night. The Caps finished the game with 42 shots on goal – 31 from the slot! 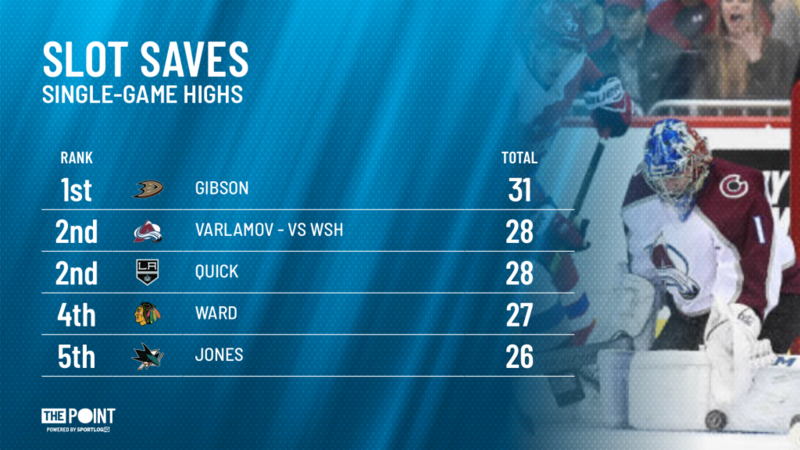 To put that into context, Varlamov made 28 saves on shots from the high-dangers slot area which is the 2nd most by a goalie in a game all season. The Capitals 31 slot shots was a season-high for them. The Avs were shorthanded six times in the game which contributed to the massive number of quality shots on goal against. Varlamov stopped 14 of the 15 shots he faced while shorthanded with 11 of those shots coming from the slot. Overall, Varlamov’s play hasn’t been great this season but he was the main reason Colorado was able to steal a point last night. The Avalanche now sit 2 points back of a playoff spot with two teams ahead of them.